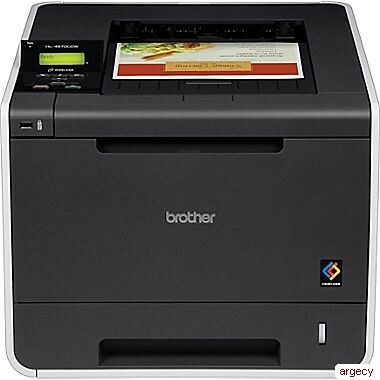 Perfect for small businesses or workgroups, the Brother HL-4570CDW is a high-performance color laser printer with wireless networking and duplex that can print business documents fast (up to 30ppm), and in brilliant color. Print professional-looking presentations, brochures, reports and more. This affordable printer features wireless networking and automatic duplex for printing two-sided documents to help save paper. Also, optional high yield replacement toner cartridges are available to help lower your operating costs. Convenient mobile device printing. Print from your mobile device via: Brother iPrint&Scan. Outstanding Customer Support. The Brother HL-4570CDW offers a 1 year on-site limited warranty with free phone support for the life of your product. Unit Weight (lbs) <46.3 lbs.